The evolution of the "Lincoln look"
The 2010 MKZ's SYNC system can make audio and phone features easier and safer to use on the road, but make sure your phone pairs with it correctly before you buy-or you'll likely be buying a new phone, too. The 2010 Lincoln MKZ wraps its roomy, cozy interior in a conservative bod-with a slight nod to sporty drivers. 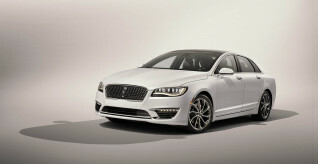 TheCarConnection.com's editors have driven the 2010 Lincoln MKZ and have compared it with other luxury sedans to write this hands-on road test. Editors have also compiled quotes and opinions from other sources to produce the most comprehensive look at the new MKZ on the Web. The 2010 Lincoln MKZ shares much with the latest Ford Fusion and Mercury Milan, but it's making steady styling progress this year with new front and rear designs, as well as a classy interior update. The MKZ is not truly a sport sedan, but a quick, fairly responsive four-door with available all-wheel drive and technology features second to none. The 2010 MKZ is priced from $35,000 and competes most closely with the Acura TL, Lexus ES 350, and Buick LaCrosse. There are familiar lines and curves in the 2010 Lincoln MKZ sheetmetal borrowed from the Ford Fusion, but a distinct Lincoln silhouette is evolving right on its nose and tail. Updated this year to share more cues with the larger Lincoln MKS, the latest MKZ wears a twin-wing grille and slimmer headlights, which Ford designers say give it a wider look. The taillights are wide and narrow toward the center of the trunklid, a look that's more Japanese family sedan than luxury liner. In all, the MKZ doesn't shatter the perception that it's an upstyled Fusion-though that's no faint praise, given Lincoln's forgettable recent past. Inside, the MKZ is happier in its imitation of the MKS. There's a wide band of wood or aluminum trim against dark, tightly grained plastic, framing a big LCD screen for audio and entertainment features. Thin ribbons of metallic trim frame big panels of dash in a look harking back to the heyday of Lincoln in the 1960s-but also recalling Ford's work with the Land Rover brand. It's an improvement for sure, though less of a stretch. A single powertrain is offered in the 2010 MKZ. It's a 3.5-liter, 263-horsepower V-6 engine paired with a six-speed automatic transmission, and available with either front-wheel drive or optional all-wheel drive. It's amply powerful, though when wound up near its power peak, the V-6 sounds less smooth than it should wearing a Lincoln badge. Ford says improvements in engine breathing and responsiveness have dropped 0-60 mph times to 7.1 seconds. The MKZ sips regular gas and still is rated at 18/27 mpg, fine numbers for the class. Fitting with the brand, the Lincoln MKZ is no dynamo around corners-it handles without much steering feel, and despite a manual-shift mode for its transmission, it's just no BMW. All-wheel drive dulls its responses with more weight, and all versions are tuned for quiet, stress-free driving instead of brisk responsiveness. The newest version has a touch smoother ride, which can be nullified by a new sport suspension option with a tighter feel and 18-inch wheels. TheCarConnection.com's editors have praised the Lincoln MKZ's interior in the past, and for 2010 there's even more reason to cheer. It's among the roomiest in its class, and with ventilated, power-adjustable front seats, the MKZ is quite comfortable to drive over long distances. The backseat's just as roomy for adults, good enough for two large adults in long-trip comfort. The trunk is especially large-on par with the larger Lincoln MKS, with a much more cargo-friendly opening. The MKZ's new interior is several steps up the quality ladder from the 2009 edition, with tighter fits, better-quality plastics, and lovely leather and wood trims as options. For the 2010 model year, the MKZ earns five-star front-impact crash scores from NHTSA (National Highway Traffic Safety Administration), with five stars for driver-side protection, but just four stars for rear-side protection. The IIHS (Insurance Institute for Highway Safety) awards the MKZ "good" ratings in both tests, and named it a Top Safety Pick. Standard safety features include dual front, side, and curtain airbags; anti-lock brakes; and traction and stability control. Rear parking sensors and a 911 Alert system are standard, while a rearview camera is an option, as is a blind-spot alert system and Cross-Traffic Alert, which warns of cars in the lane in which the MKZ is turning. The 2010 Lincoln MKZ comes fully equipped for its $35,000 base price. It sports SYNC, which uses voice-activated commands to control phones and audio systems; Bluetooth; and a touchscreen LCD for navigation and other functions. An AM/FM/CD/MP3 audio system with Sirius Satellite Radio is also standard, along with 17-inch wheels; leather upholstery; and heated and ventilated power front seats. Options include a voice-activated navigation system; Sirius Travel Link, which offers on-the-fly data, such as traffic info, weather, movie times, and sports scores; ambient lighting; adaptive headlamps; THX-certified surround sound; remote start; and a moonroof. For 2010, an Executive Appearance Package gets its own paint colors and special leather-trimmed seats, walnut trim, and thicker floor mats. The 2010 Lincoln MKZ doesn't turn its convention on head, but a dandy new interior and subtle changes elsewhere sharpen its luxury focus. There are familiar lines and curves in the 2010 Lincoln MKZ sheetmetal borrowed from the Ford Fusion, but a distinct Lincoln look is evolving right on its nose and tail. The 2010 MKZ is "entirely new from A-pillar forward," Autoblog reports, "highlighted by Lincoln's soon-to-be-signature split-wing grille and a subtly revised lower fascia." That grille "highlights the list of subtle exterior modifications" that extend to new tail lamps, door panels, and exterior trim, Motor Trend says. Updated this year to share more cues with the larger Lincoln MKS, the latest MKZ also wears slimmer headlights, which Ford designers say give it a wider look. The taillights are wide and narrow toward the center of the trunklid, a look that's more Japanese family sedan than luxury liner. "Lincoln did an admirable job of giving the new MKZ a more modern look," Autoblog says, while Car and Driver observes, "In this class, exterior styling counts for a lot, and the 2010 MKZ looks quite good." Jalopnik feels "it's quite handsome in proportion, and the rear has a far more finished appearance than the original." Motor Trend feels the "'10 MKZ strikes a handsomer pose, outside and certainly in." Inside, the MKZ is much happier in its imitation of the MKS. "Gone are the square, retro gauges, passable leather, plastic trim, and tall, boxy dash," Motor Trend explains. There's a wide band of wood or aluminum trim against dark, tightly grained plastic, framing a big LCD screen for audio and entertainment features. "The dash design," Car and Driver details, "while rather cabinetlike, is far lovelier and is now rendered in authentic woods and metals, not facsimiles." Thin ribbons of metallic trim frame big panels of dash in a look harking back to the heyday of Lincoln in the 1960s-but also recalling Ford's work with the Land Rover brand. "The upgraded interior is now more of a contender for best-in-class with its abundance of soft-touch materials," Autoblog observes. Simply put, Motor Trend reports the "ambiance is warmer, richer, and quieter than before." The 2010 Lincoln MKZ can't match the crisp driving manners of European sport sedans, though it's quick and has a smooth, controlled ride. A single powertrain is offered in the 2010 MKZ, and it's energetic enough-but the MKZ just doesn't have the fine performance edge to match some of the luxury sedans in its class. The MKZ's engine is a 3.5-liter, 263-horsepower V-6 engine paired with a six-speed automatic transmission, and it's available with either front-wheel drive or optional all-wheel drive. It's amply powerful, though when wound up near its power peak, the V-6 sounds less smooth than it should wearing a Lincoln badge. Ford says improvements in engine breathing and responsiveness drop 0-60 mph times to 7.1 seconds. Motor Trend measures a 0-60-mph time of 6.8 seconds with the 2009 model's identical engine and a slower transmission; it reports "the engine sounds and feels good, and while not as polished as Toyota/Lexus or Honda V-6s of the same size, it is class competitive." Autoblog confirms the newest "MKZ still doesn't have as much gusto as some of its competitors," though they are "pleasantly surprised at how well the transmission responded" in manual-shift mode. Motor Trend notes the new transmission's sport mode is "a first for the MKZ," and it "lays it out correctly-forward for downshifts, backward for upshifts." The MKZ sips regular gas and still is rated at 18/27 mpg, fine numbers for the class. "To improve the MKZ's ride and handling," Motor Trend reports, "Lincoln retuned the springs and dampers, tweaked the rear suspension geometry, and, for enthusiasts, added an available sport package." However, fitting with the brand, the Lincoln MKZ is no dynamo around corners-it lacks good steering feel, and despite having a sport suspension offering, it's no BMW. Car and Driver says "we doubt the Lincoln would be able to keep up with the CTS or TL on the same road," while Autoblog finds it holds its own on "twisty roads, although the steering felt too light and over-boosted." The steering is a common complaint in reviews: Car and Driver calls it "agonizingly limp" and feels it "pretty much ruins the party." Still, the new MKZ "rides smoother and quieter," Motor Trend notes, and it "sounds sweeter, responds quicker, and glides more gracefully." 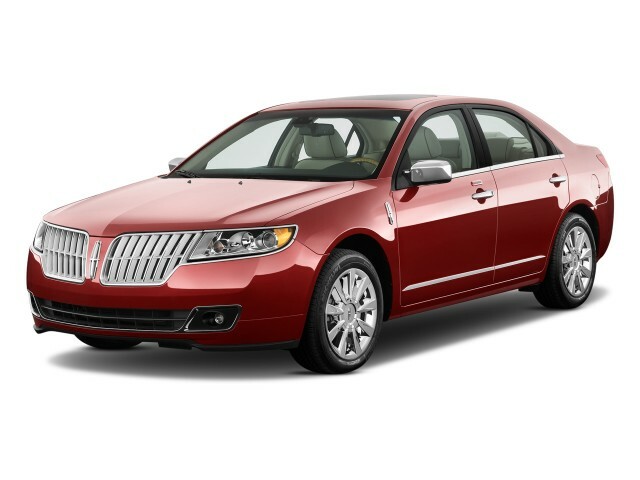 The 2010 Lincoln MKZ has plush seats and lavish interior room, but assembly quality is worth a second look. TheCarConnection.com's editors have praised the Lincoln MKZ's interior in the past, and for 2010 there's even more reason to cheer. The 2010 MKZ has an interior that's among the roomiest in its class, and with ventilated, power-adjustable front seats, the MKZ is quite comfortable to drive over long distances. "Particularly nice are the seats," Car and Driver says, "with their cloudlike cushioning, creamy Bridge of Weir leather surfaces, and optional ventilation." Autoblog asserts the seat "have just the right amount of bolstering," and suggests they "could easily spend hours inside the MKZ and never feel uncomfortable." In the backseat and in front, "six-footers get ample headroom and legroom," according to AutoWeek, while the backseat's good enough for two large adults in long-trip comfort. Kelley Blue Book reports "rear-seat space is surprisingly generous, with more than three feet (!) of legroom." The trunk is especially spacious-on par with the larger Lincoln MKS, with a much more cargo-friendly opening. 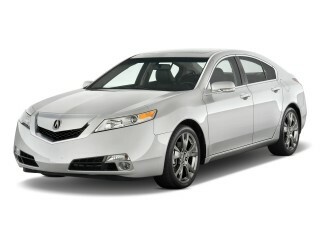 Cars.com reports "the 60/40-split rear seats fold to provide access to the 15.8-cubic-foot trunk." ConsumerGuide says the cargo area "is useful in shape and volume," but is "ill suited to tall boxes and lined with cheap-feeling material." Nonetheless, Kelley Blue Book calls the trunk "best in class." The MKZ's new interior is several steps up the quality ladder from the 2009 edition, with tighter fits, better-quality plastics, and lovely leather and wood trims as options. Autoblog reports "cabin noise has been reduced thanks to upgraded sound absorbent material in nearly everything surrounding the cockpit," and Jalopnik confirms the upgrades: "At freeway speeds the car is dead silent." Car and Driver agrees, too: "the MKZ is whisper quiet at speed, and the engine note, although still far from as symphonic as that of, say, a BMW inline-six or Infiniti's VQ V-6, is more pleasant than before." Most reviews do not mention noticeable quality gaffes, but Jalopnik's test vehicle has many: the "hood didn't align properly at the cowl, the bumper cover continually popped out of flush just below the headlights on both sides after rough pavement driving and the ignition didn't even come close to lining up with the surrounding plastic." The 2010 Lincoln MKZ has improved its crash-test scores and offers more safety features and options. Lincoln dramatically improves the crashworthiness of the MKZ sedan, backing up better crash-test scores with new safety technology. For the 2010 model year, the MKZ earns five-star front-impact crash scores from NHTSA (National Highway Traffic Safety Administration), with five stars for driver-side protection, but just four stars for rear-side protection. The IIHS (Insurance Institute for Highway Safety) awards the MKZ "good" ratings in both tests and calls it a Top Safety Pick. Standard safety features include dual front, side, and curtain airbags; anti-lock brakes; and traction and stability control. Edmunds notes that the Lincoln MKZ "head airbags include a 'roll-fold' feature that helps to keep the airbag against the glass even if the occupant is out of position." Rear parking sensors and a 911 Alert system are standard. A rearview camera is an option, as are a blind-spot alert system and Cross-Traffic Alert, which "alerts the driver when another vehicle resides in a blind spot or when there is laterally approaching traffic while reversing out of a parking spot," Motor Trend explains. TheCarConnection.com's editors feel visibility is an issue for shorter drivers in the MKZ. With the MKZ's smaller glass areas and deeply set seats, those drivers will need to raise the seats as high as possible. The 2010 Lincoln MKZ can be stuffed with electronic goodies, including SYNC and THX surround sound. The 2010 Lincoln MKZ comes fully equipped for its $35,000 base price. Car and Driver asserts "for the money, it offers an impressive list of standard equipment." The 2010 MKZ sports standard SYNC. This "hands-free communication and entertainment system integrates mobile phones and media players using Bluetooth and USB technology," according to Cars.com. "If there's one thing Ford products show mastery in, it's the electronic gadgetry," Jalopnik observes, because of SYNC, "Sirius TravelLink, aux inputs, MP3 integration, hands-free phone operation, heated and cooled front seats and other various goodies." An AM/FM/CD/MP3 audio system with Sirius Satellite Radio is also standard on the MKZ, along with 17-inch wheels; leather upholstery; and heated and ventilated power front seats. Edmunds adds "driver-side memory" and "an auxiliary audio jack" to that list of standard equipment. The standard "leather seating comes in everything from a sedate black to a snazzy white-on-black contrasting mix which looks extremely nice," Jalopnik observes. MKZ options include a voice-activated navigation system; Sirius Travel Link, which offers on-the-fly data, such as traffic info, weather, movie times, and sports scores; ambient lighting; adaptive headlamps; THX-certified surround sound ("Kudos to the body-vibrating THX II audio system!" AutoWeek declares); remote start; and a moonroof. For 2010, an Executive Appearance Package gets its own paint colors and special leather-trimmed seats, walnut trim, and thicker floor mats.